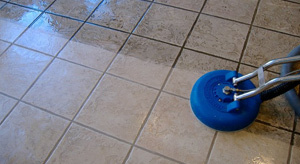 PowerMax Carpet Cleaning is your best choice for Cleveland tile and grout cleaning. We are known for providing a superior solution to all of our customers. Tile grout joints tend to absorb stains and spills more than most other surfaces. Traditional cleaning methods such as mopping tends to spread more dirt than it removes. This can cause your tiled floor to become discolored and appear old and can ruin the appearance of any room.